Cure Cancer’s annual Researcher of the Year Award recognises the outstanding achievements of our early-career grant recipients. The Award highlights the importance of early-career research funding and allows Cure Cancer to promote these achievements to our donors and supporters. - A brief synopsis of their role in each publication. - Any special achievements (prizes, awards, grants, translational/other impacts) during the previous year. Again in 2019, travel grants will be awarded to top 3 applicants. The nominations are reviewed and assessed by the members of the Cure Cancer Research Committee. Researcher of the Year 2018 was A/Prof Jyotsna Batra from Translational Research Institute & Queensland University of Technology. Researcher of the Year 2015 was Dr Jason Wong from University of NSW. 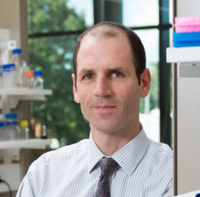 Researcher of the Year 2016 was A/Prof Steven Lane from QIMR Berghofer.